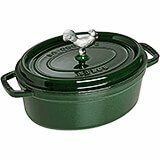 The 7 Qt capacity makes this oval, smooth flat bottom, and colored La Cocotte perfect for a variety of oven cooked delights. Made in France and developed in conjunction with Frances most celebrated, world renowned chef Paul Bocuse. 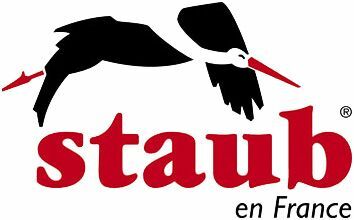 Staub manufactures all their enameled cast iron La Cocottes with the utmost care and quality. This 16.60 lb. La Cocotte is ideal for stews, roasts, soups, casseroles and other one-pot classics. Investing in a Staub 7 Qt oval La Cocotte means that you're investing the quality of your foods and a treasure that will be a part of your kitchen for years to come! 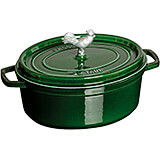 Staub manufactures all their enameled cast iron La Cocotte's with the utmost care and quality. It has an interior enamel finish produces a natural non stick surface that is more resistant to scratches and chips and it impressively wont rust or become discolored. The self basting spikes on the lid allow you to achieve juicy meats and flavorful vegetables and it retains and displaces the heat evenly around the Cocotte. Because it is constructed of enameled cast iron, you get the benefits of glass cookware with the even heating and rugged durability of cast iron and a nickel knob for the easy use of a lid. 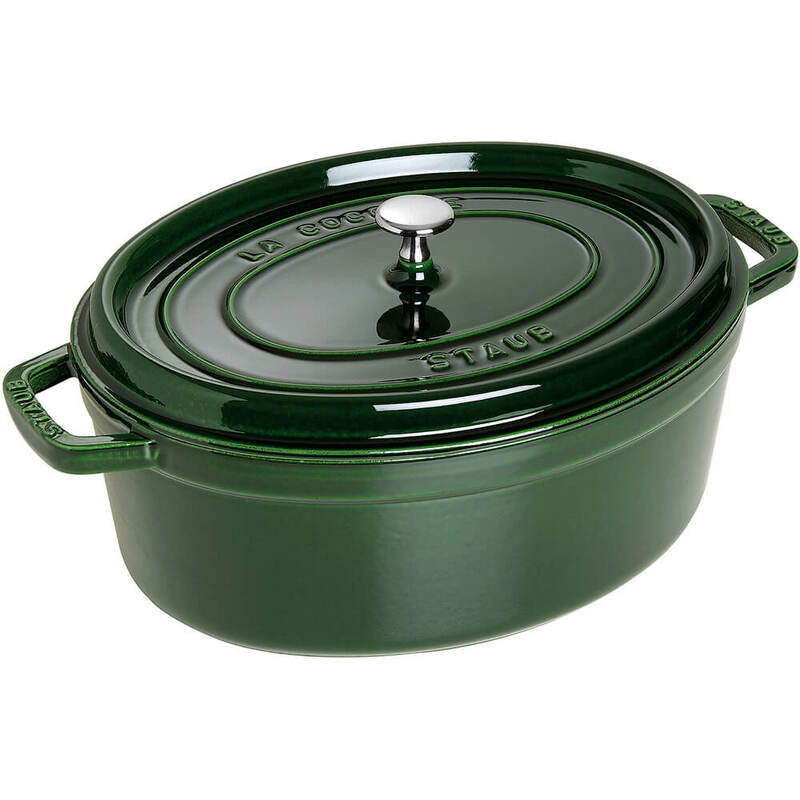 The 7 Qt capacity makes this oval, smooth flat bottom, and colored La Cocotte perfect for a variety of oven cooked delights. Made in France and developed in conjunction with France's most celebrated, world renowned chef Paul Bocuse. Size:14.7" X 11.6" X 6.2"